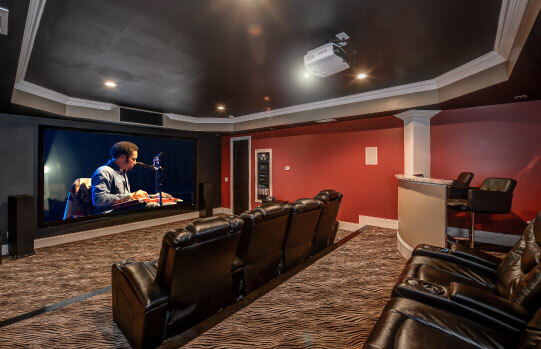 You don’t need a dedicated theater room to be entertained….because we are bringing the impact right into the room you use the most! Your family room or den is where you spend most of your time anyway so why not have us install a discreet entertainment system that has warm, rich sound and a crystal clear picture. 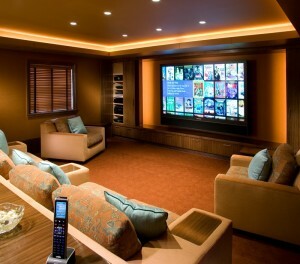 We are craftsman and experts at blending the aesthetics of your home and the powerful entertainment that you want into the room you will never want to leave. When we combine our incredible products with the skills of the AES custom installation team, amazing things can happen in your family room. 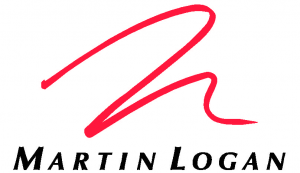 We will design an easy to use system for you from our large collection of completely hidden speakers and electronics to custom soundbars and smart TVs that will deliver a truly impressive and easy to use entertainment experience that you will enjoy for years. We even have TVs hidden behind two way mirrors. This is a favorite surround sound solution with our clients and delivers theater-quality sound to your family for amazing home entertainment that blends in with your décor and looks and sounds crystal clear. We will custom install your flatscreen TV, with our built in 5.1 surround sound system including an Artison soundbar that looks like it is part of your TV. This also includes our most reliable 5.1 processor and rear surround speakers built into your ceiling and a micro subwoofer that is out of sight. All of this will be easy to control with your iPad that we custom program for your system so everyone in the family can easily use it. One of our favorite Solutions for great sound in a family room is the Studio soundbar from Artison . This is truly an excellent sounding speaker that we can mount to the bottom of your flat-screen so that it looks like it is part of the TV. Pretty slick. The custom ordered grill will be the same exact width as your TV creating a seamless look. You want one, bad! 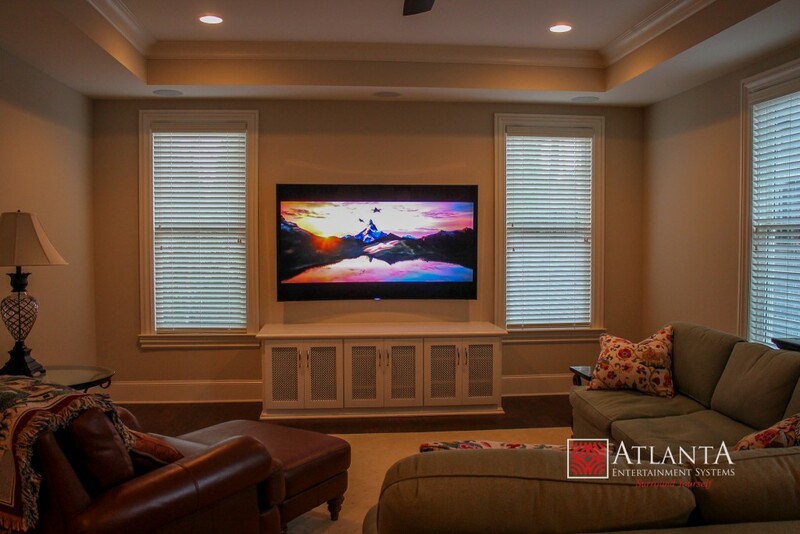 We can take your family room entertainment system to any level you wish, from a basic TV installation with two speakers to a 90” illuminated HDTV floating off of the wall and 7.2 surround sound calibrated to satisfy any audiophile. When one of our highly trained consultants meets with you we will discuss video options such as TV installation, TV covered by art, TV hidden by a decorative two-way mirror, and TV automated to lift out of furniture. 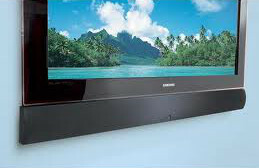 We will also show you some great speaker options like soundbars that blend in, speakers built onto the sides of your TV or even recessed into the ceiling. Ask us about our true 5.1 soundbar that sounds incredible while eliminating the need to install speakers all over the room. In addition we often build speakers and components into the cabinetry so it’s out of sight, out of mind! Don’t forget the bass! We have great subwoofer solutions to blend into your décor from small micro subwoofers to subwoofers built into the wall or the floor.